Popular bed-in-a-box retailer Leesa Sleep today launched a brand new, fully customizable hybrid pillow built for personalized comfort. The mattress company debuted the Leesa Hybrid Pillow on its website, billing it as an accessory designed for a restorative sleeping experience. It comes complete with reversible and adjustable layers, allowing customers to modify it to their particular tastes. The pillow also comes outfitted with cooling properties as well as a down-like quilted cover, which provides immediate pressure relief and comfort to the sleeper. Image provide courtesy of Leesa Sleep. 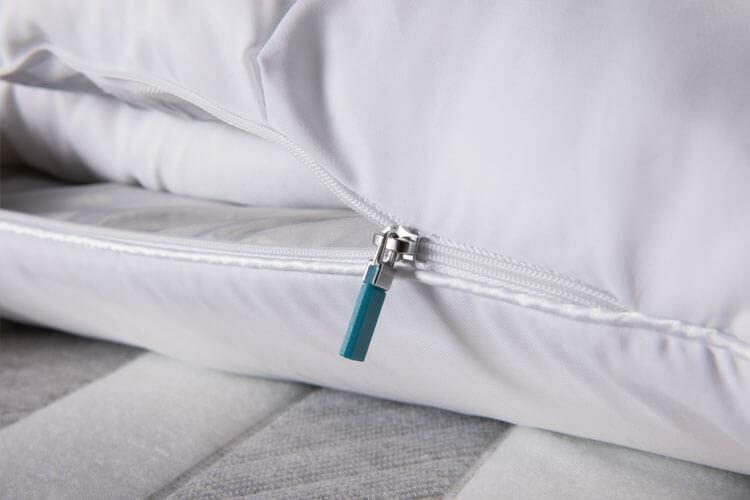 The Leesa Hybrid Pillow is just the latest item to be unveiled in the startup’s growing suite of sleeping products, which recently expanded to include not only mattresses, but also sheets, foundations and a bed frame. As with Leesa’s beds, one out of every ten hybrid pillows sold will be donated to charity as part of the brand’s One-Ten Program. This has been an exciting few months for Leesa Sleep, which has been shaking up the mattress industry since 2015. This past year alone, the brand secured $23 million in funding, established new relationships with West Elm and Pottery Barn and also debuted a collaboration with Third Sheets.